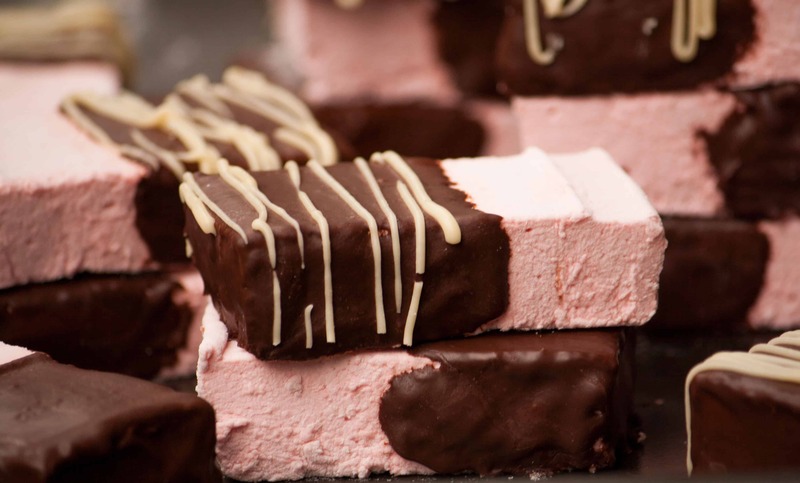 Homemade raspberry marshmallows, with a hint of orange zest and covered in chocolate. Creamy, melt in your mouth treat and so easy to make. Another recipe with delicious raspberries 🙂 Everything we eat has raspberries these days. 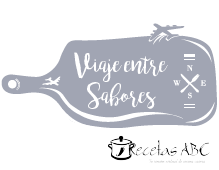 So I’ll share yet another recipe with you. But don’t worry if you don’t have access to fresh raspberries, for this recipe we’ll use some jam. 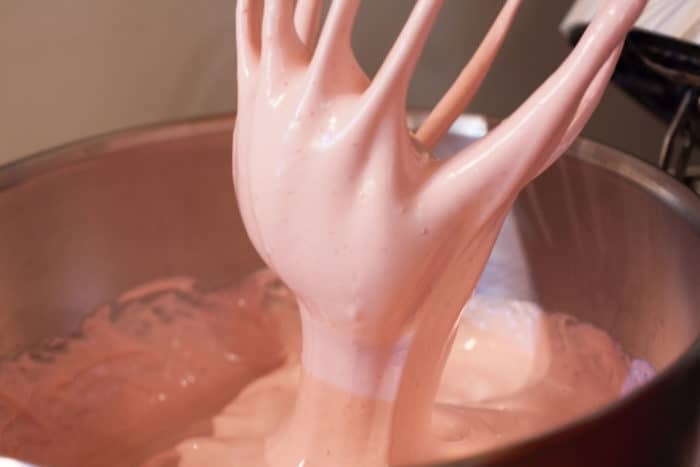 Do you know that it is so easy to make marshmallows at home? you only need gelatine, water and sugar! but since we are making raspberry flavored marshmallows, we are adding some jam to this basic recipe. We’re also adding a some orange zest and then we cover the marshmallows with chocolate. Because everything is better with chocolate, right? Depending on your taste, you can use a jam with or without seeds. I used one with seeds, and the truth is that you can hardly see them. Maybe you don’t have or don’t like raspberry jam. Then use your favorite kind of jam. 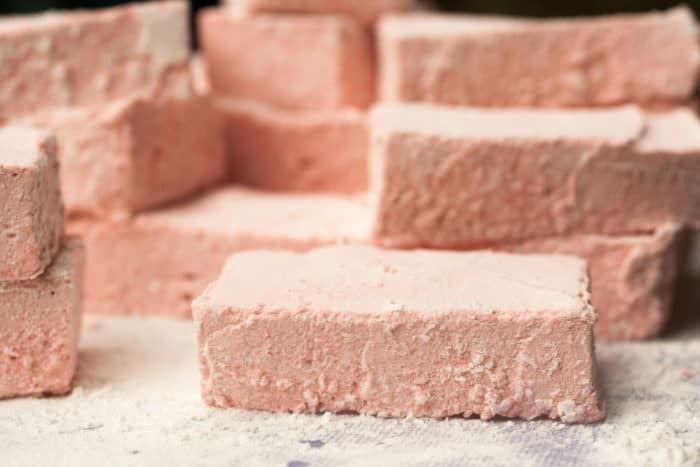 Some strawberry, blackberry or blueberry jam will pair well with these fluffy homemade marshmallows. As I said it before. Making marshmallows at home is way too easy. You need an electric mixer and 15 minutes to mix all up. 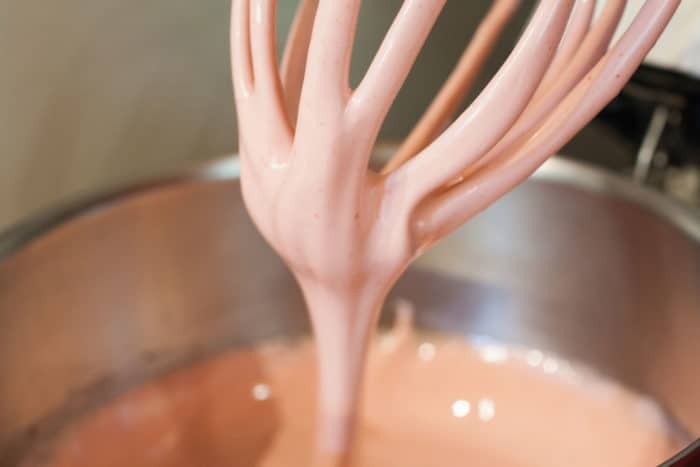 The more you whip, the thicker it gets. This is how it looks after 10 minutes. 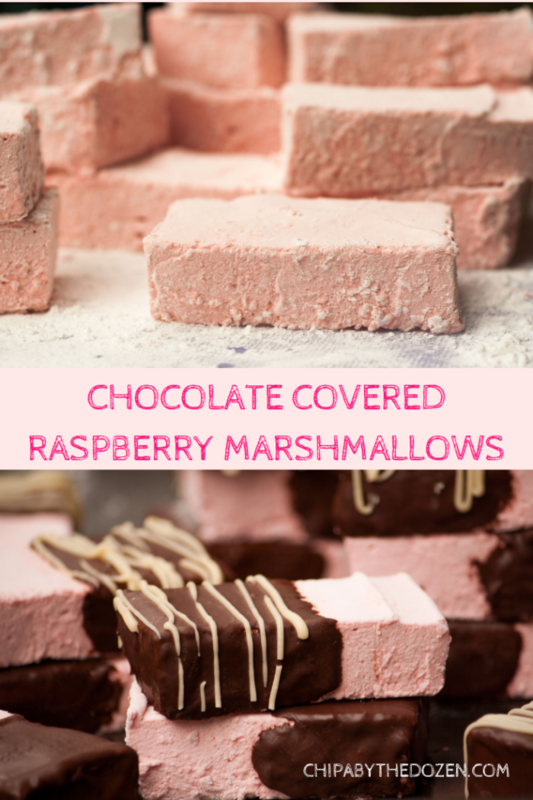 You can enjoy these raspberry marshmallow without the chocolate coating. But dark chocolate really highlights the sweetness and flavor of the raspberries very well. The flavor for this homemade marshmallow is inspired by our favorite pie, White Chocolate – Raspberry Pie. Grease a 12x16 inch baking pan and sprinkle with a little bit of cornstarch. Add gelatin, 8 tablespoons of water and jam in a big bowl. While the gelatin rests and grows, prepare a syrup with sugar, orange zest and water. Cook until the sugar is dissolved. Add the syrup to the gelatin and start beating. It takes about 15 minutes. After the first 5 minutes, you'll notice that it's thicker and your machine is working a little bit harder. After 15 minutes turn it off and using a well greased spatula spread the marshmallow into the prepared pan. Let it sit for half an hour before cutting. In a small bowl, mix icing sugar and corn starch. Put marshmallow onto a board. Sprinkle some icing sugar-starch mix over the marshmallow and start cutting. After each slice, sprinkle some icing sugar mixture over the knife to avoid stickiness. Cut into 24 pieces. After cutting all the marshmallow, roll each piece in the icing sugar mixture. Shake them a little before covering them in chocolate. In a medium bowl, add dark chocolate chips and melt in the microwave for 2 to 2 and a half minutes. Stopping every 30 seconds to mix. Add the oil and mix well. Prepare a flat surface with a piece of parchment paper. 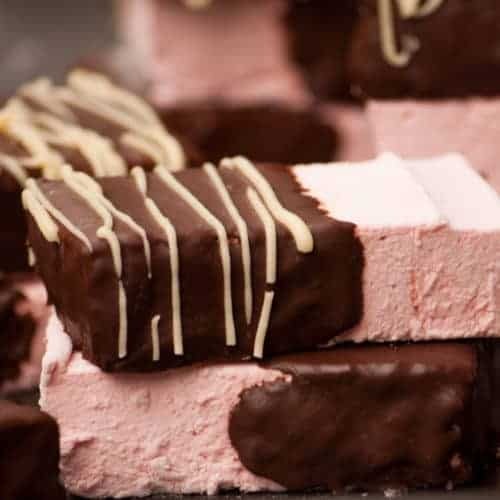 With the help of a spatula, cover half of each marshmallow with chocolate. Set them to dry on parchment paper. In a small bowl, melt white chocolate chips for 1 minute, stopping after 30 seconds to mix. With a teaspoon, pour over the marshmallows. Allow to set and store in an airtight container. It is very important to have all the ingredients measured before you start and have a well greased spatula. The marshmallow is very sticky and you have to work fast. Never have I ever been brave enough to make marshmallows at home. Your directions made it so easy! And the raspberry jam was a yummy addition. I’m glad you liked it Cindy! I had no idea you could make your own marshmallows. These are fabulous. Thanks for the great recipe! Thanks for coming by Kristin! I’m glad you liked it Christina! Oh my goodness! I’m still dreaming about these. They were perfect! The combination of raspberry and chocolate definitely hits the spot. Raspberry and chocolate are just amazing! 🙂 I’m glad you like them. These were OUTSTANDING! I love a homemade marshmallow that is dipped in chocolate. The raspberry paired with chocolate hit my sweet tooth just right. I’m glad you liked it, Kelsey!